Daniluk Farm and Stables, LLC offers hay for sale year round. Our hay is exceptional: clean, premium quality, locally grown and produced by us. We store all our hay indoors and our hay is never treated with chemicals. If you are looking for superior hay for your animals, you want to buy from us! We are proud to announce that our grass/alfalfa mix second cutting hay won Champion in the Forage division at the 2017 New York State Fair! Our Timothy/Alfalfa mix square bales are 14" x 18" x 36" and weigh approximately 40 pounds. They are baled dry, never treated with chemicals, and are stored indoors. 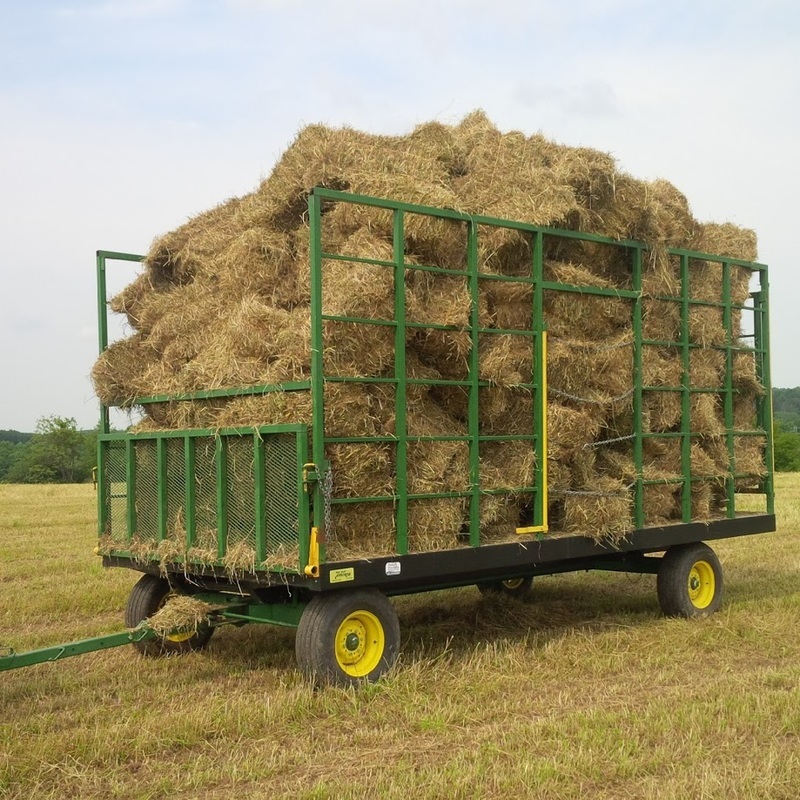 We typically have square bales for sale from first, second, and third cuttings. Pick up and delivery available year round, and we occasionally have square bales available to purchase out of the field. Our round bales are 4' x 4.5' and weigh approximately 500 pounds. We make grass mix and grass/alfalfa mix round bales. They are baled dry, never treated with chemicals, and are stored indoors. 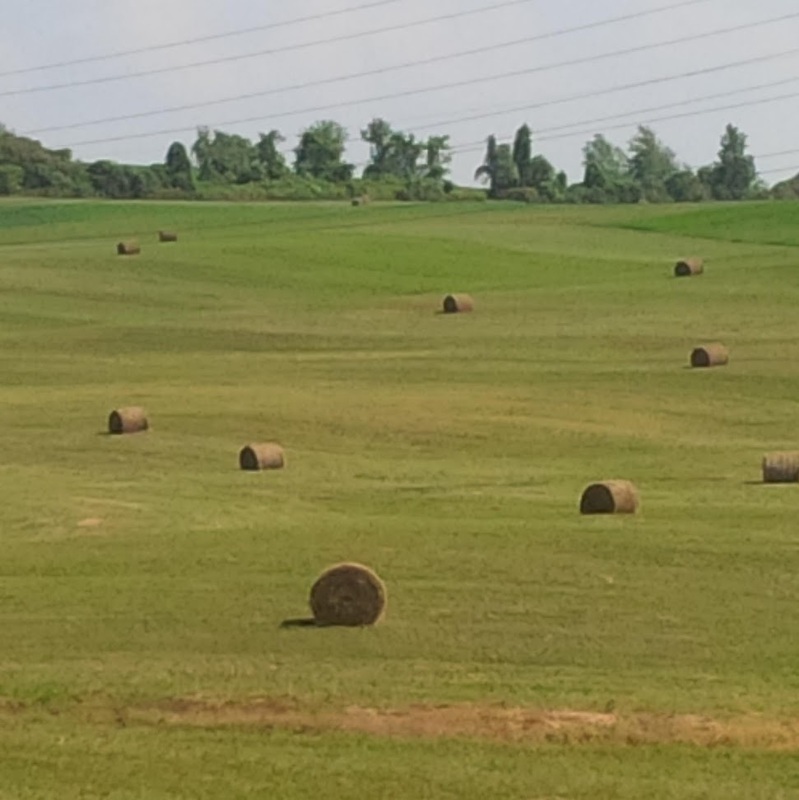 Most of our round bales are first cutting and we occasionally have second and third cutting round bales for sale. Custom harvesting is available. Delivery available year round.